Then Try One By One By Pasting Below/After <data:post.body/> And Keep Checking Social Buttons After Saving Your Template Every Time. thanks asif, it works well but i would like to replace the google +1 button with a facebook like or pinterest button. how would i do this? thanks for linking the video to the webpage, as a novice it really was easy to follow. it's working dude ... thank u..
Works perfectly for my site, thanks man !! I like the one better that you have on your site. Where did you get that one from?
" Minima Colored 3 "
Thanks Asad Raza & Keep Visiting Our Blog. 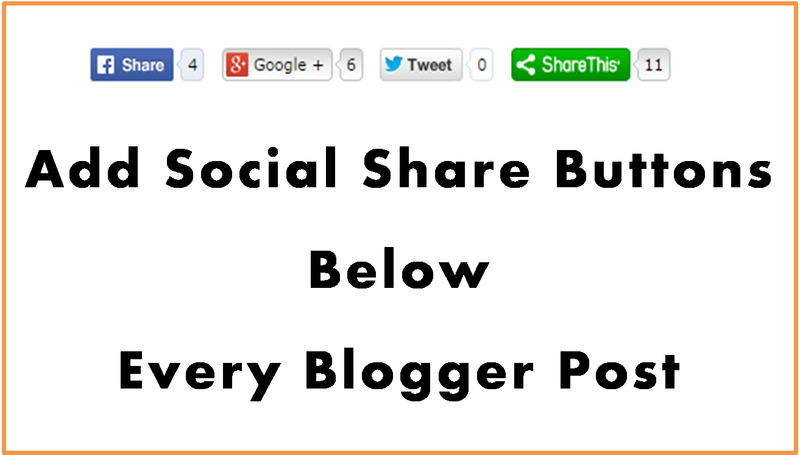 Thank you very much for sharing this share buttons. It works on my blog but could you give me an advise how to line up the "Comment" button right before the share buttons, and how to makes them appear little more further from the posts. Can't see this line: on my template. I'm using a template maker called Artsteer or something like that. it worked! thank you! but i need help with my adsense. would you help me please? I tried to do this and I am having difficulties. The header one was good. But when I put in the post body to the search, it comes up with nothing. What should I do?